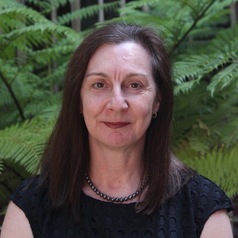 Rebecca Johinke is an Associate Professor in the Department of English, The University of Sydney. She has a long-term interest in Gender Studies and Popular Culture as it intersects with Literary and Film Studies. Her interests include writing and rhetoric (creative nonfiction, print and digital magazines), Australian film and popular culture (including popular music), and street narratives (from masculine car cultures to street cultures more generally), and she has a specific interest in walking narratives. She is currently writing a monograph about Australian magazine editors. She also conducts research about the Scholarship of Teaching and Learning (assessment and feedback, student support, and the first year experience). Her most recent journal articles have appeared in The Journal of Popular Culture, Journalism Studies, Journal of the European Association for Studies of Australia, and Assessment and Evaluation in Higher Education.